Dues are calculated upon gross revenue. Gross revenue is fees earned by company (including branches) during the preceding calendar year for all title and escrow services, including closing and settlement fees, and shall include fees from abstracts, search and examination of titles, title insurance premiums, title memorandums, foreclosure certificates, title certificates, litigation guarantees, ownership and encumbrances memorandums, and any other services related thereto. This includes any portion of the title insurance premium which is retained by the agent or remitted by the insurer which the respective agent or insurer shall include in its premium calculations. The dues schedule is set forth below. 2. 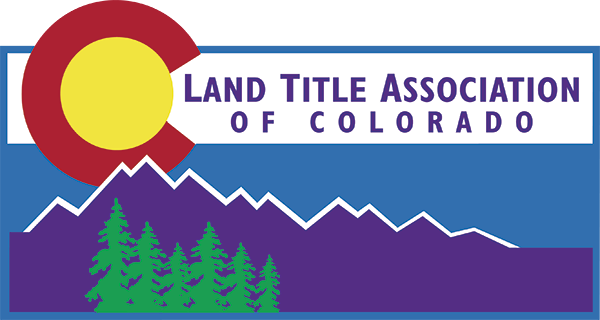 Title Insurance companies that have both direct operations and independent agents in Colorado, in which case dues are based upon the amounts remitted, or accrued, pursuant to the contract/contracts between the concerned title insurance company and the concerned independent agent(s) and direct operation(s), except that the title insurance company need not include any premium remitted to it from any direct operation which is a member of LTAC and has paid its dues separately. Associate member is defined as a corporation, professional corporation, limited liability corporation, partnership, limited partnership, or entity other than an individual person. Associate membership is limited to those entities that do not fit into the categories of agents, abstractors, title insurance companies or underwriters in the state of Colorado.